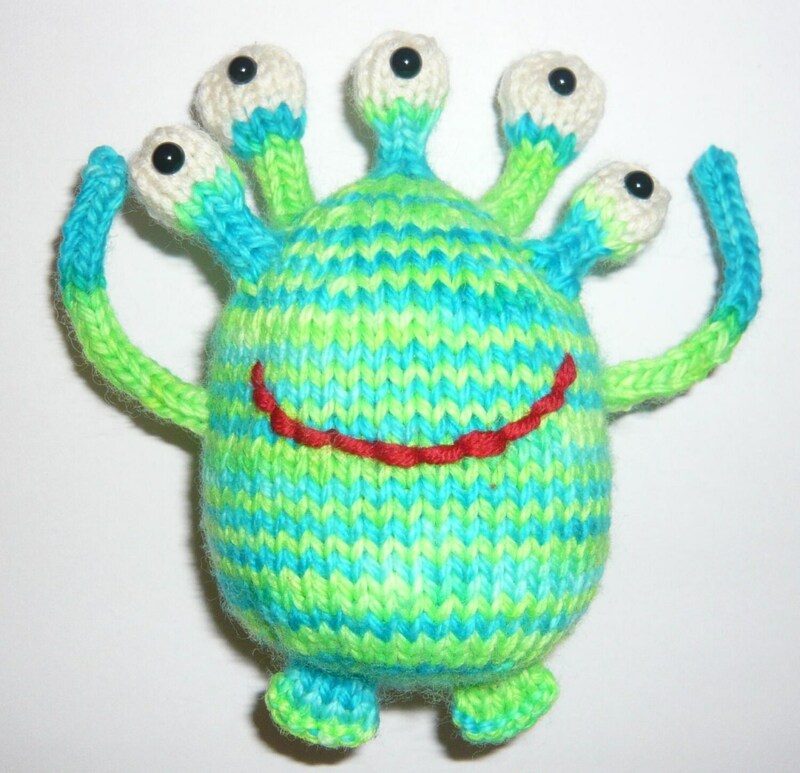 This friendly five-eyed alien is very affectionate and you can knit him using this written pattern with photographic illustrations. The pictures here show the completed alien from the front, above and below. 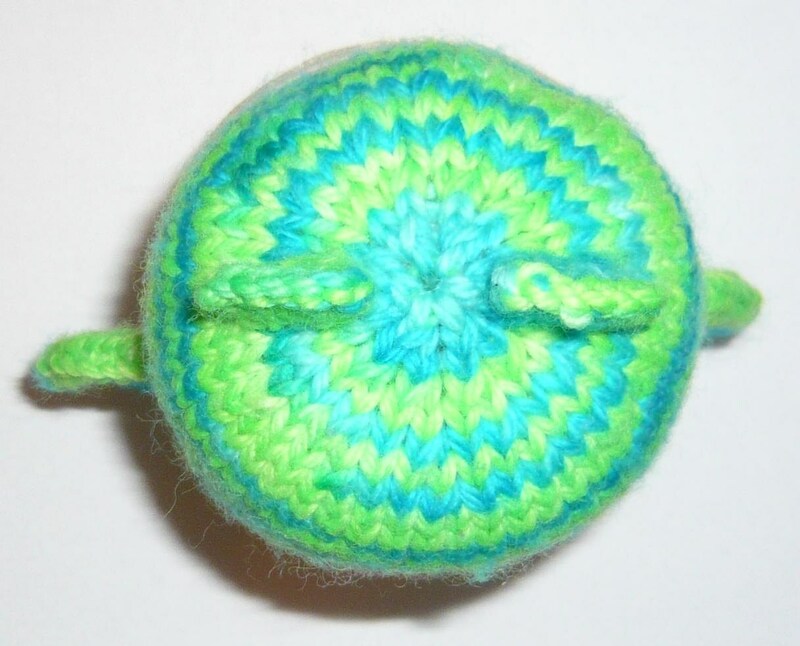 To create your alien you'll need to be able to knit in the round, increase, decrease, pick up stitches and knit i-cord. 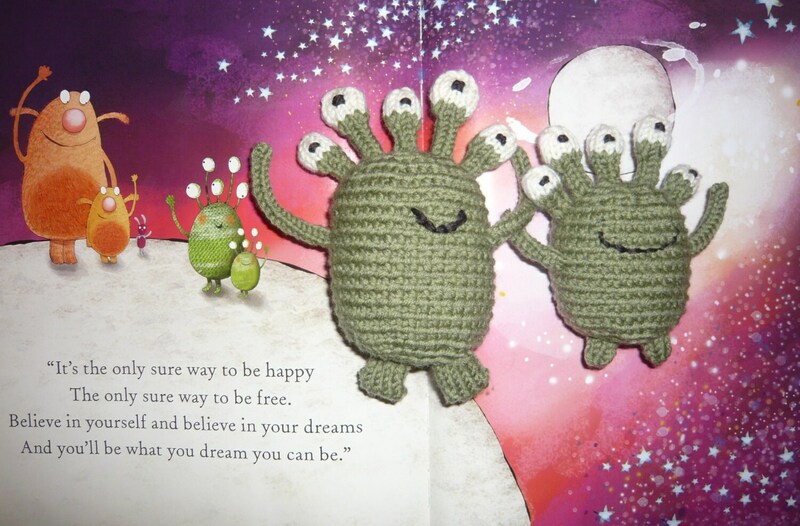 There is an optional provisional cast on, which I prefer, but alternative instructions are included for knitting your new alien friend without this too. Youtube is an excellent resource if there are any stitches you don't know and I also offer help by email. 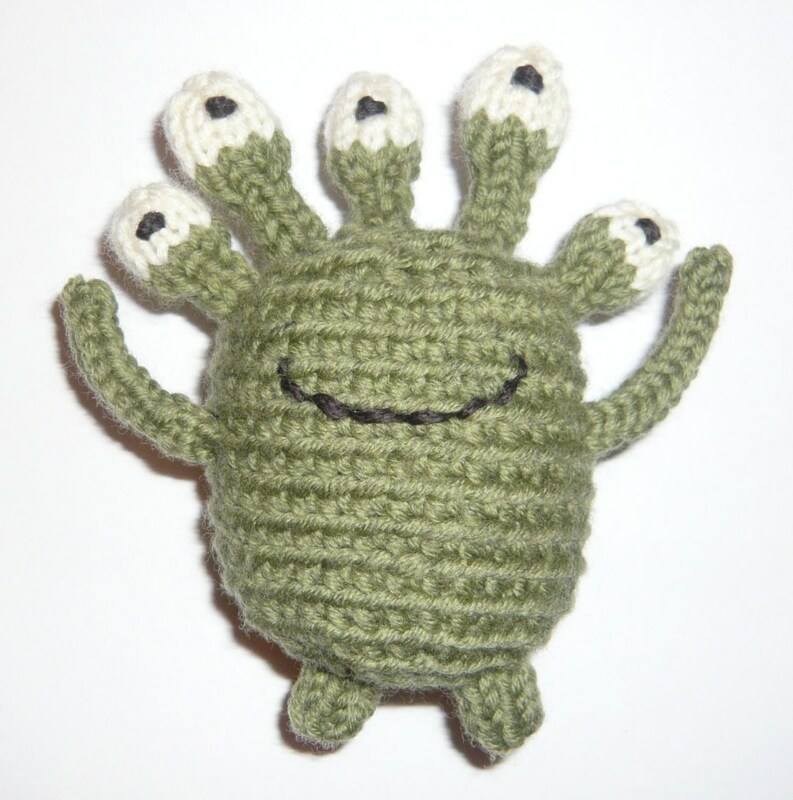 I've used worsted (aran) weight yarn and US5 (3.75mm) needles for the alien pictured and it is about 5.5" (14cm) tall but you could easily use a different weight if you wanted a smaller or larger extraterrestrial.